Use your words: help stop off shore oil and gas drilling!!! Help stop off shore oil and gas drilling!!! Great turnout and rally last week! Now its time for you to take the next step! Thank you to our volunteers, friends and the numerous organizations who attended last week’s hearing in Smithtown and spoke out! Special thanks to Assembly Members Engelbright, Pellegrino, and D’Urso who brought it all together to give Long Island a voice. Without them, the only hearing on offshore drilling in New York would have been 186 miles from the coast, in Albany. YOU MUST MAKE YOUR COMMENTS HEARD NOW! The Trump administration wants to open all offshore ocean areas, as close as 3 miles, to off shore oil and gas drilling leases. The comment period is open now for oil and gas exploration environmental considerations. So-so State Of The State. Yes, we have proposed deadlines for procurement of offshore wind, likely off Long Beach for 2018, and 2019. These are just PROPOSALS so don’t get too excited. Pressure and public support will still be needed to make this a reality, as NY does not have a good track record on delivering what is promised in the already too long time frame given. Overall, it honestly could be much better and we honestly need much better. We will continue to push for more, faster, and to stop any disastrous investments in fossil fuels our children will be saddled with the financial and climate costs for. The good news is yes- we CAN do something about all these issues, you can help be the change. We are making huge strides in cleaning up our towns and waterways and helping everyday people become better aware of environmental issues and become involved in them, on our reusable bag campaigns, which are succeeding in making change. Please get involved with our campaigns and make your voice heard. You can volunteer to help here. January 5th and It’s Already Happening!!! We knew it would NOT be good news when the Bureau of Ocean Energy Management announced a briefing yesterday on 30 minutes notice. Apparently your ocean (Yes, including the Atlantic) is being made great again for gas and oil drilling, spills, pollution and everything else that comes with it- huge rollbacks in regulations by executive orders, effective immediately and revoking previous moderated plans. We will be opposing this at every possible turn and will be joining our allies to bring the public together to stop this. NYC is moving forward with plans to reopen their access to Nassau County’s drinking water, including the fragile, last remaining source for Long Beach and several other towns. 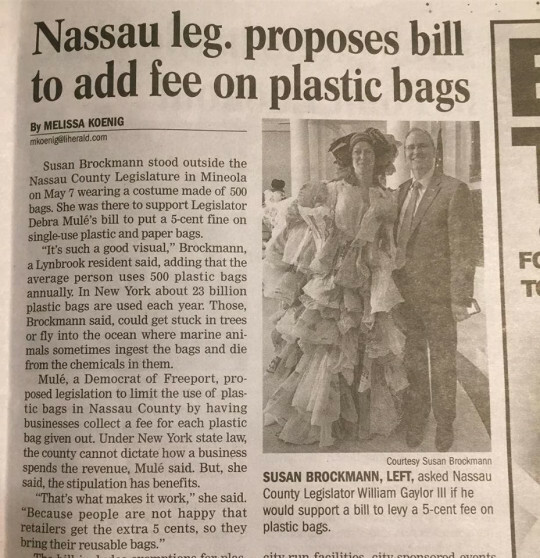 They plan to effectively remove 60% the amount that Nassau does daily. This will have a huge impact. In spite of what we were working towards this fall, there now doesn’t seem to be any hearings needed, so our petition may be one of only a few ways to stand up against this. YOUR VOICE WILL BE IMPORTANT TO GETTING OUR WATER PROTECTED. CONSIDERING ONLY 28 PEOPLE INCLUDING OFFICIALS WENT TO THE JUNE HEARING, DO NOT ASSUME YOUR CONCERNS ARE BEING HEARD. If you haven’t already, please sign and share our petition here. If you have, please share it now. 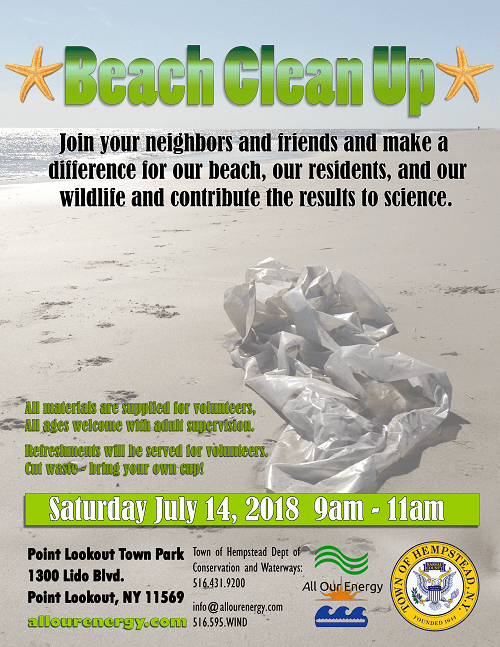 Due to snowy conditions on the ground, our Sunday 12/10/17 Sea Cliff “It’s Cool to Care: A Groovy Community Clean Up Walk for the Environment” is postponed. New date coming soon…. We are mobilizing our Sea Cliff Team and supporters to attend the December 11, Monday Night Village of Sea Cliff Board Meeting to show support for action on eliminating needless single use bags and becoming a reusable bag culture. 300 Sea Cliff Ave, Sea Cliff, NY 11579.